When last we saw YoYo sushi Chef Eddie he was Africa-bound. Local politics and the threat of war has begged him off from that adventure for now, and so it is to our great delight that he will be returning to YoYo (in one piece). He will re-join Jessica and the gang serving up some of the Mission's most reasonably priced and best sushi. YoYo has been open for over a decade, occupying the space formerly known as "Cafe 16th Street" - a 50s style chicory-coffee and donuts and eggs type operation that closed back in 2000. Out of loyalty for my beloved greasy spoon and a bit of skepticism about the decisions regarding decor (for years YoYo maintained the 50s motif, vestiges of which remain to this day) I stayed away for a year or two before my elementary school pal Bobby dragged me in, "this place has the best sushi in the Mission!" Incredulous, but thankfully rewarded. It was the best sushi I had eaten in a long time (since the closing of the much-loved Nori Sushi in SOMA in 1997*). 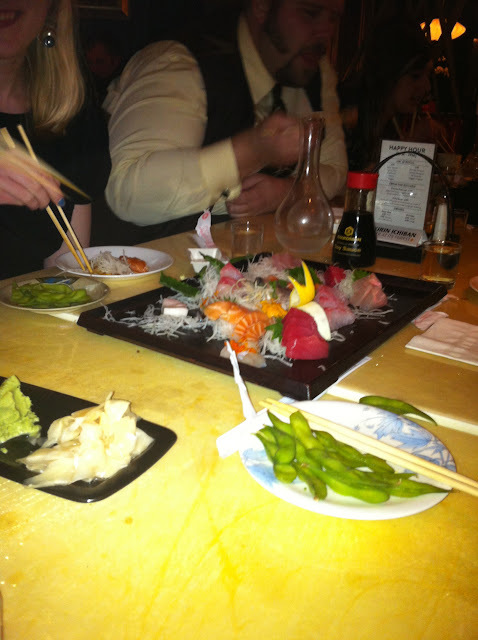 At best, the sushi was on par with the also now long-gone "No-name" sushi on Church and 15th. Luckily for YoYo I was in the market for a new sushi place since being repeatedly poisoned at a nearby local chain that will remain nameless, also famous for being a low-cost player in the sushi game. YoYo's quality suffered during a period of extended economic woe that started at the tail end of 2003 and was off-again, on-again through the recent recession, but is now making strides to restore itself to its former glory. Despite that, one constant perennial winner at YoYo is their "uni", whomever their vendor is plucking only the highest quality sea urchin out of the sea. A former boss and avowed uni connoisseur declared that, having travelled the globe, short of eating at Nobu the uni at YoYo is the best in the land. I do not think this is too much hyperbole. If sushi is not your thing, YoYo offers up a variety of noodles: traditional Japanese soba and udon as well as ramen. 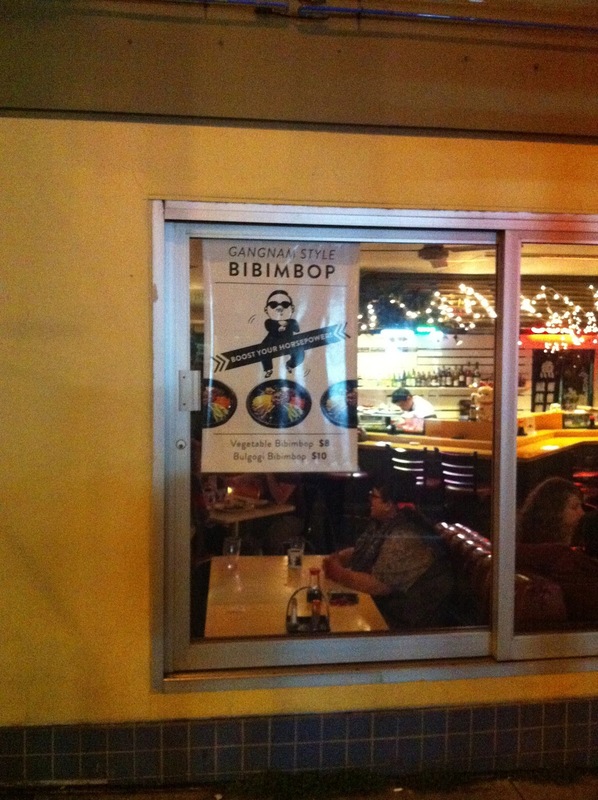 YoYo is nodding to their Korean origins by offering bipbimbap on Tuesdays. Tempura and katsu are also offered. * True story - SOMA's Nori Sushi was a hot spot for up and coming dot-commers with portions and prices that seemed unsustainable. My roommate and I arrived at the door one day with a baleful note stating that "Nori Sushi would be closed indefinitely." Later that day, we ran across a news item stating that Chef Nori, the owner, had died in a tragic motorcycle accident the previous night. A large sum of money and heroin was fond hidden in his motorcycle. Investigators found more money and dope at the chef's home. Guess that's how he could afford to offer up so much sushi for so cheap. Of course, nothing like that is going on at YoYo. They are simply a good neighborhood business with loyal patrons, outstanding service and quality fish. The kind of establishment that I believe should be rewarded.